Guaranteed to ship today if ordered within the next 27 minutes. Length: 1 hrs. 44 mins. Brad Lunders (P.J. Boudousqúe) is a troubled teen and is sent to a juvenile reform facility in the wilderness. As we learn about the tragic events that sent him there, his struggle becomes one for survival with the inmates, counselors, and the retired war colonel in charge. The facility is located 25 miles from the nearest town and Brad has been sent thee because his mother wants him to be straightened out "by a retired war colonel and his power-hungry band of counselors. These facilities really exist and have been at the center of controversy because they are not heavily regulated in any state. Such boot camps are also not used as a part of a court-imposed sentence resulting from a criminal case. No, parents send their children to them". This is director Vincent Grashaw's story of a young man. Grashaw shows us slowly Brad's back-story. He has a hard time adjusting to the facility, the colonel in charge and the counselors. Colonel Frank Reichert (James C. Burns) is a sadistic leader enjoying uncontrolled power over a group of poorly adjusted and vulnerable boys. Even the toughest of them can't stand up to him or to the counselors who make their daily lives miserable with long, dehydrating runs and verbal and physical attacks. Brad arrives at the facility with Jonas (Octavius J. Johnson), who ends up suffering greatly at the hands of Reichert and his counselors. Somewhere near the middle of the film, Grashaw tells the audience that an entire year has passed with Brad in the facility. We then see a different Brad? he works as a trustee for the colonel and is told that he has what it takes to become a counselor. We see him fighting to survive and staying clean but then his old friend Gabriel (Chris Petrovski) shows up at the camp. Brad senses that his efforts to get Gabriel involved in drug dealing may have landed him here and we get the idea that he feels some compulsion to help Gabriel, but it's not really clear how until much, much later in the film. We see the horrors of the facility and they go unchecked and unsupervised, as we feel uncomfortable in the audience. With its surprising and staggering final scenes, we realize that we shouldn't have been surprised at all about what type of people these brutal reform facilities produce. Grashaw has done a good job of making the point he wants to make about these reform camps. Even when the film moves slowly, it keeps our attention and while we might feel uncomfortable, it is because we are seeing something that happens everyday in this country. This is a horrifying story about a young man taken against his will to a paramilitary juvenile detention camp. It's an engaging script, directed with confidence and panache by Grashaw, and the last half hour should have you right on the edge of your seat the entire time. Grashaw draws out fascinating, textured performances from his cast, notably James C. Burns as the retired marine in charge and Nicholas Bateman as a conflicted trustee. But the real revelation is the lead actor, newcomer P. J. Boudousqué, whose frustration simmers just beneath the surface, and whose eyes betray a mind always racing. Grashaw's obviously got a bright future, and if this role is any indication, so does Boudousqué. The film will certainly leave you with chills. The power struggle between the colonel, his counselors and the inmates explodes in a terrifying manor, leaving audiences wondering what exactly goes on behind the fences of the unknown. We learn quickly that although the colonel may control his army and dictate the fight, his personal battle exists inside himself. ? ?Brad's experiences at Coldwater are not only dramatic, but question the moral values we place on our reform tactics. 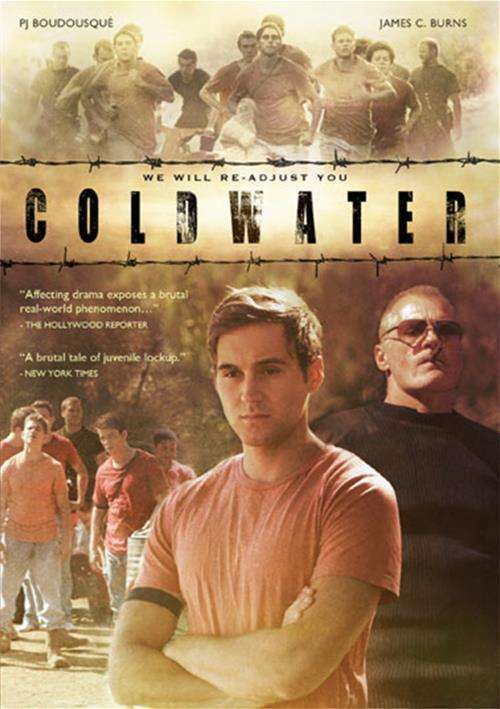 Throughout the film, we learn many harsh truths and the film not only makes us question the foundations of institutions like Coldwater, but that of ourselves. At the end of the film, viewers will feel anxiety and anger towards the and degradation that torments our correctional facilities.